Looking for Enthusiastic Producing Collaborators! 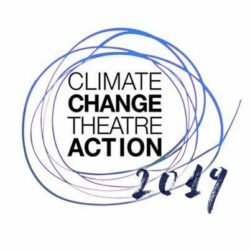 Join us in hosting a reading or performance of short climate change plays this fall to coincide with the Santiago Climate Change Conference (COP25), the international meeting where world leaders gather to discuss ways to reduce global greenhouse gas emissions. Whether you’re an actor, producer, director, avid arts supporter, or concerned community member – everyone can participate! WHEN: You event must take place between September 15 and December 21, 2019. WE PROVIDE: A collection of 50 short plays that address various aspects of climate change; a list of resources to help make your Action effective and unique; organizational and marketing support; and a lot of enthusiasm! Our 50 playwrights were commissioned to write a play under the theme “Lighting the Way.” This year, we want to give center stage to the unsung climate warriors and climate heroes who are lighting the way towards a just and sustainable future. These may be individuals or communities fighting for justice or inventing new technologies; they may be animals, plants, or spirits imparting wisdom; or they may be a part of someone s/he didn’t know was there. YOUR CONTRIBUTION: You agree to organize and present an event between September 15 and December 21, 2019 using at least one of the plays from our collection. Your event can be as simple as an intimate reading in a classroom or living room, or as elaborate as a fully produced show in a theatre. We encourage you to design it to reflect your own aesthetic and community. (Please note: We cannot provide funding for events.) For examples of what previous collaborators have done, take a look at our past events. SIGN UP: Contact us at ccta@thearcticcycle.org to register your event, get the full guidelines, and get access to the plays.